Today we stop off at Weasley's Wizard Wheezes in Diagon Alley to pick up a sampling of their latest treats. 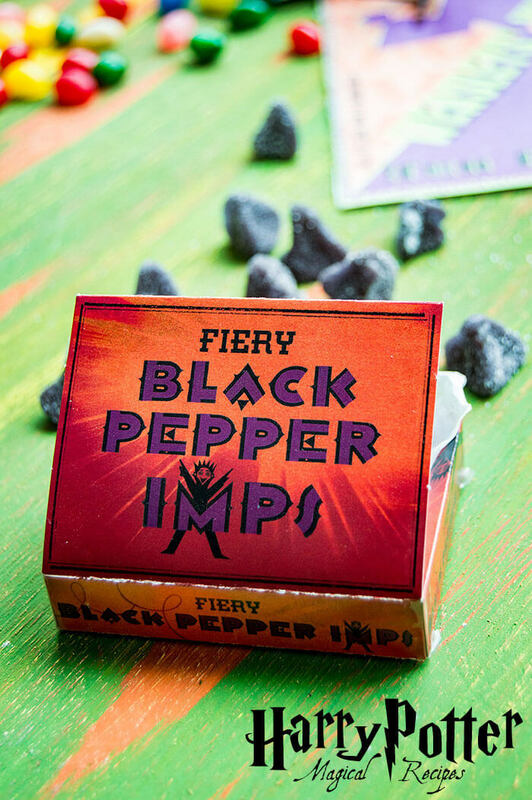 Fiery black pepper imps burn the tongue and make smoke billow out of the ears of whomever eats them! 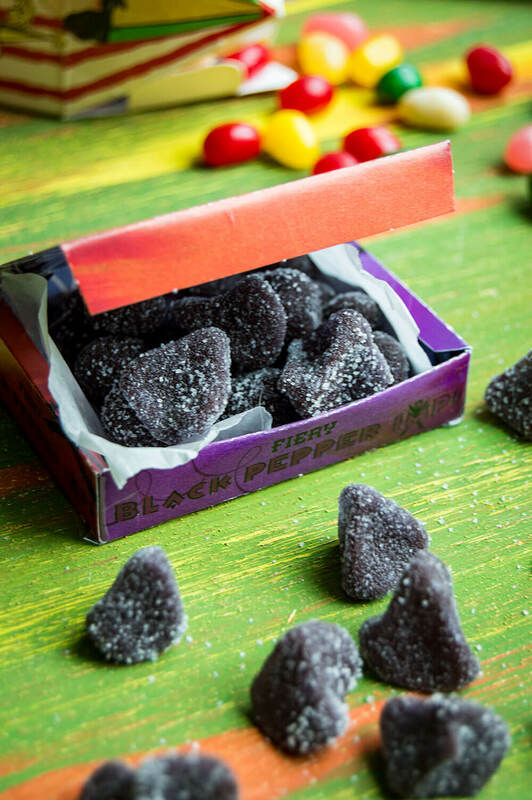 For Muggles, however, the "fiery" sensation comes from cinnamon flavor rather than magic. 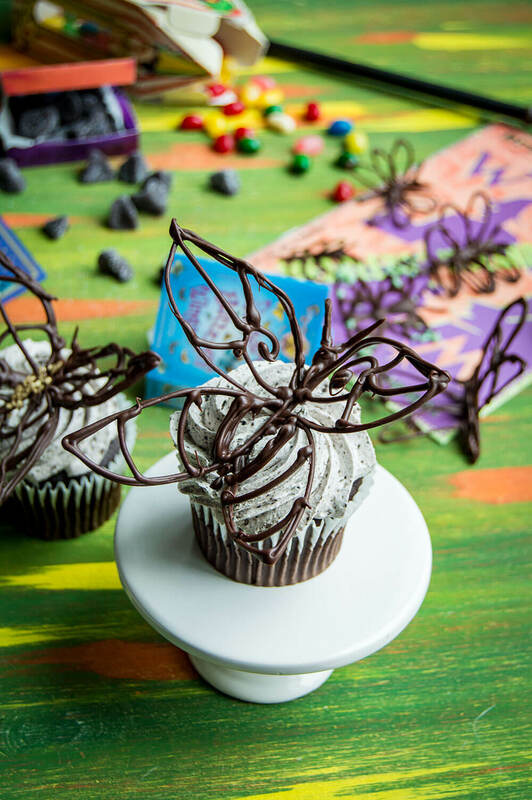 These delicate sugar butterflies - in the wizarding world - have a chance to flutter away if the box is left open. 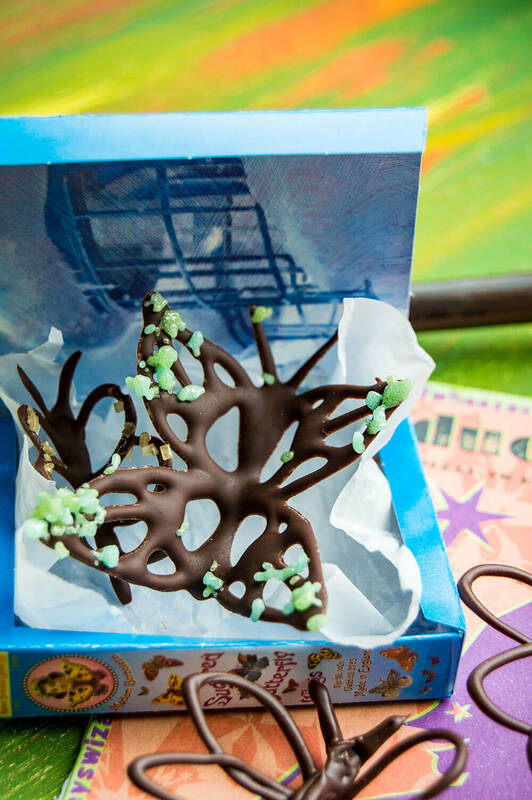 However, if a Muggle opens the box, the butterflies will appear to be made of just plain chocolate and sugar crystals. 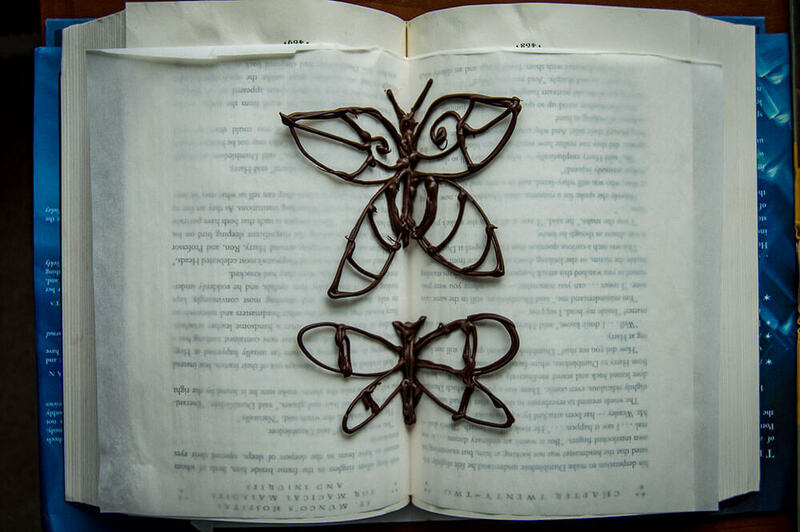 These chocolate butterflies were formed on the pages of the Harry Potter books to get their perfect shape! No matter if you are a Muggle or No-Maj, there's nothing quite as delicious as magical treats from Weasley's Wizard Wheezes! 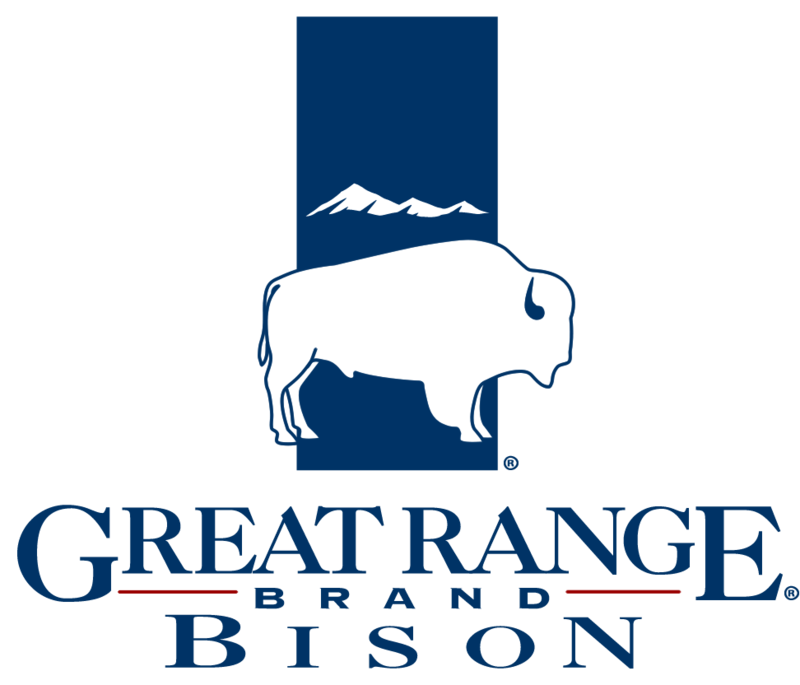 Create a double boiler over medium high temperature. Add 2/3 of the chocolate to the double boiler and stir until smooth. Do not let chocolate temperature exceed 105 F.
Remove the chocolate from the heat and stir in the remaining chocolate a little bit at a time. Bring the temperature down to about 82 F or until the chocolate is glossy and smooth. Reheat the chocolate back up to 87-89 F. Prepare a piping bag or baggie with a tiny round piping tip. Open each Harry Potter book down the middle. Line with parchment paper. Pipe the chocolate directly onto the parchment paper, starting with the wings and then filling in the body down the center. Decorate with sugar crystals while the chocolate is drying, as desired. Let the chocolate set completely - about 1-2 hours or until dry and glossy. 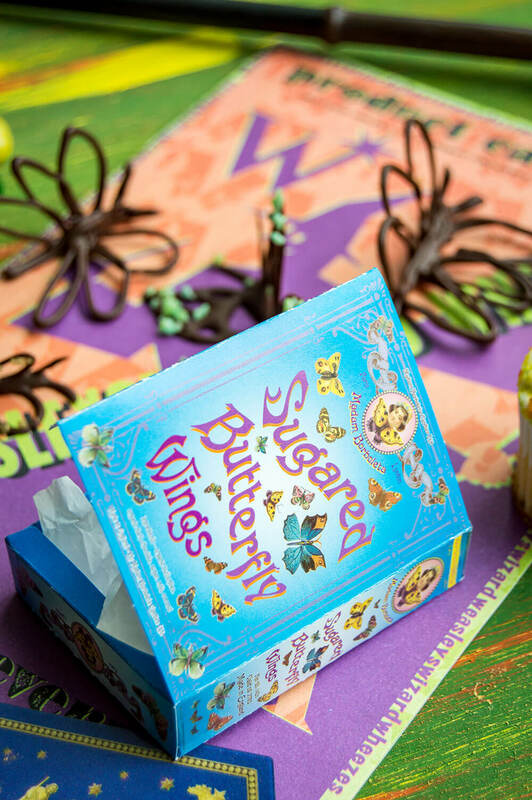 Gently lift the parchment paper off the book and peel away from the butterfly wings. 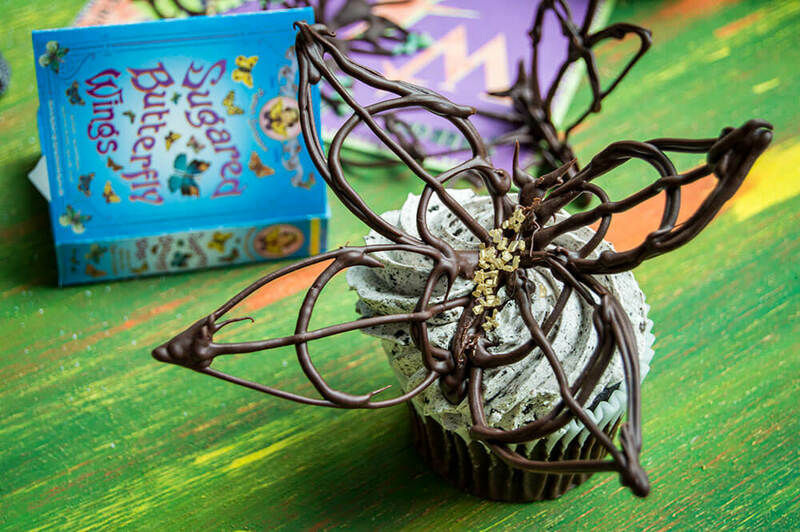 Use the chocolate butterfly wings as garnish on magical cupcakes or eat plain. Enjoy! In a pan over medium high heat, combine the suar, corn syrup, water and cream of tartar. Stir until the sugar has started to dissolve, then bring to 300 F without stirring. 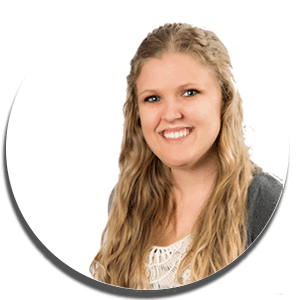 When the temperature reaches 300 F, remove from the heat. Stir in the black food coloring and cinnamon flavoring. Pour the molten sugar onto a silicone mat. Let cool for 3-5 minutes. 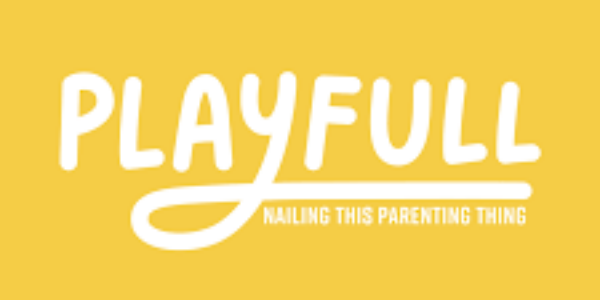 Using rubber gloves or candy gloves, carefully work the sugar into small beads. Use scissors to cut individual pieces from the sugar blob. Prepare a bowl with about a half cup of sugar in the bottom. Pinch both ends of the sugar in opposite directions to create a "x" shape. Place each piece in the bowl of sugar and toss gently to coat. 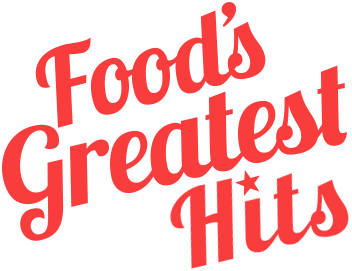 Repeat until you've made your desired amount of fiery black pepper imps. Enjoy!